It is always important for a co-op board of directors to have good systems of accountability in place to provide proper and strategic oversight of the general manager. With strongly increasing demand for natural and organic products resulting in more pressure from competitors, cooperatives need to strengthen operations, and at the same time effectively communicate the value the cooperative brings to its customers, members and community. Success is getting more complicated to achieve and the job of the GM is getting harder; and so is the job of the board of directors. Boards need to ensure that systems of accountable empowerment are robust to ensure effective oversight of the GM who is responsible on a day-to-day basis for leading the cooperative through these challenges. Accountable empowerment is a pillar of cooperative governance, along with Teaming, Democracy, and Strategic Leadership. Power, defined as the ability to get things done, is essential for a retail food co-op’s general manager in this dynamically changing environment. 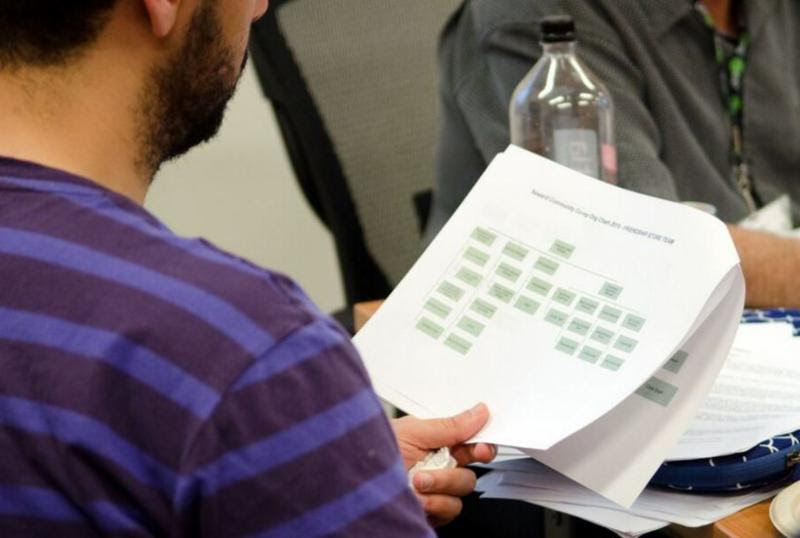 Boards of retail food co-ops must fully empower their GM to achieve success by setting clear expectations, assigning unambiguous responsibility, and ensuring accountability by rigorous monitoring to make sure that their expectations are being met. To fully empower the GM, the board must be an excellent employer. Be sure the board has expectations that are clearly communicated to the GM. Re-evaluate Ends to ensure expected outcomes are clearly articulated. Upgrade your financial condition expectations to make them clear and robust. The board thoroughly understands the co-op’s governing system including how it effectively empowers the GM. GMs know they have the authority to act and solve problems within the guidance given by the board. Upgrade the board’s assessment of GM monitoring reports. Ask questions to clarify understanding. Look for external data to back up conclusions. Pay attention to GM reporting on staff culture and treatment. 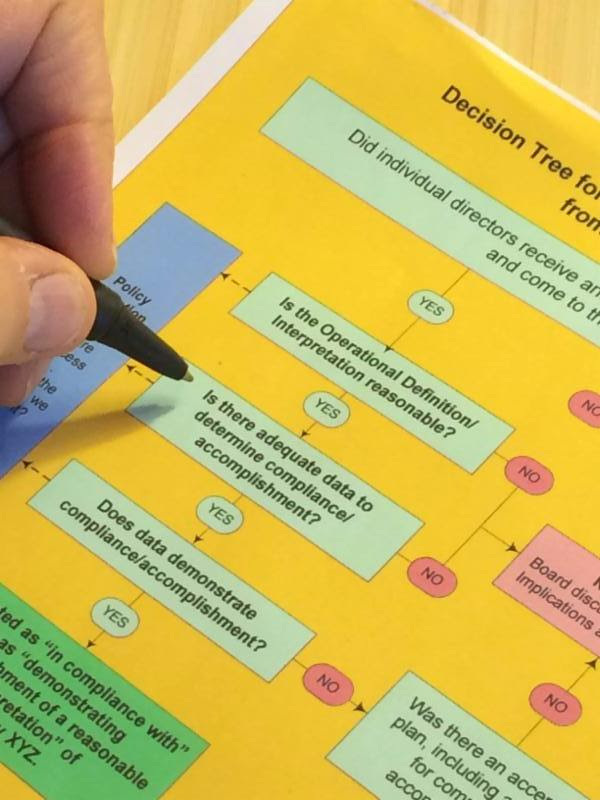 Use the Decision Tree to decide what action the board should take on a report. Sometimes accountability systems detect problems: that’s what they are designed to do. Know what to do if reports are unacceptable or show non-compliance with board expectations. Provide recognition and support when robust, effective reports demonstrate expectations have been met. Now more than ever, boards need to be diligent in order to know if the co-op is excelling in the marketplace and achieving its goals. Boards need to know if they have the right GM for their co-op at this time. These steps toward accountable empowerment will ensure systems are in place and working effectively so that the board can answer a hearty “yes”, and provide the increasing support their GM needs to do the very difficult job they are doing. Having a robust system in place allows a board to have the conversations needed to lead. An effective Board/GM relationship is essential for co-op success, and that relationship needs to be built on communication, good process and diligent use of the accountability system.